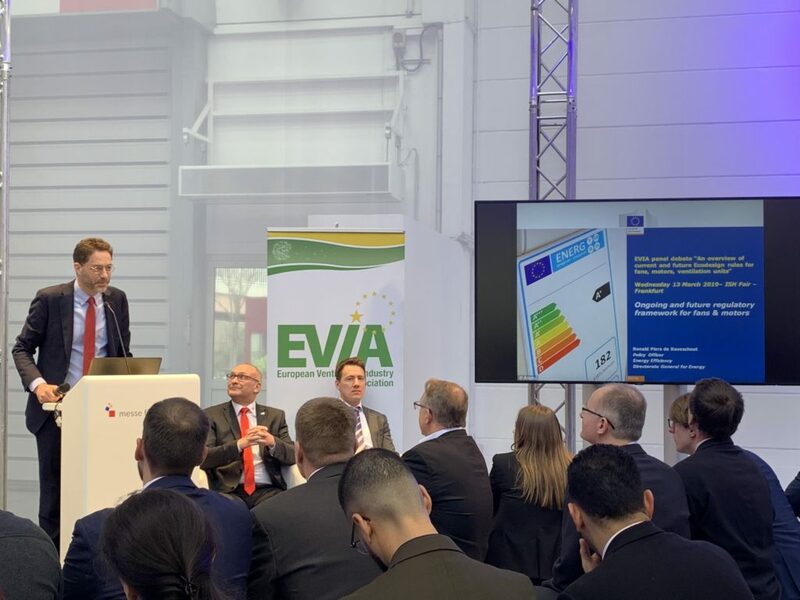 ISH, Frankfurt, 12 to 14th March 2019: ISH – one of the biggest trade fairs for the ventilation industry in Europe – provided the occasion for the European Ventilation Association (EVIA) to not only organise workshops on the main priorities of the association, including IAQ, connectivity and Ecodesign but also to welcome European Commission policy officer Ronald Piers de Raveschoot for a tour of our members’ stands. On Wednesday 13 March, EVIA members kindly welcomed Mr. Ronald Piers de Raveschoot to their stands to present their latest innovations and signature products, ranging from roof fans to jet fans, comfort fans to fan impellers, electric motors as well as ventilation units and heat recovery systems. Members took this opportunity to highlight some of the trends they are facing, guided by increased pressure from the market to meet high levels of comfort, reducing acoustic externalities and providing highly efficient and cost effective solutions. Members also used this opportunity to recall some of the regulatory challenges and opportunities the sector is facing and how the EU can help promote energy efficiency and indoor air quality and overall contribute to the ventilation industry’s sustainable growth. “This is a great opportunity to learn more about the industry’s challenges and see concretely how we regulators can develop the most effective policy frameworks”, said R. Piers de Raveschoot. The EVIA Forum that took place on Wednesday 13 March reuniting over 70 representatives in the course of the afternoon, provided a unique occasion to discuss trending issues and policies affecting our sector such as connectivity, Ecodesign and energy labelling, as well as to exchange views on the role of the ventilation industry in addressing poor indoor air quality (IAQ). Ronald Piers de Raveschoot opened our EVIA forum with the first workshop “An overview of current and future Ecodesign rules for fans, motors, ventilation units”. He presented the current status of Eco-design regulation for these products. G. Lockwood (Ebm-papst), Chair of EVIA’s Fans Working Group, thanked the policy officer for his work on the Electric Motors regulation, while highlighting that the industry was disappointed about the delay in finalizing the Fans Regulation, as companies had already invested significant amounts to comply with the requirements set in initial drafts back in 2015. On the revision of the ventilation unit regulation, M. Mueller (Rosenberg), Holger Thamm and Martin Lenz (Trox) presented respectively the view of the non-residential and residential ventilation sectors, mentioning the main items to be considered in this revision, such as filter efficiency, historical building refurbishment, Unilateral Ventilation Units without air treatment, climatic zones for heat recovery, etc. You can find Mr. Piers de Raveschoot’s presentation here as well as the presentation of the workshop here. During the second workshop “How to evaluate indoor air quality for residential ventilation?” Jelle Laverge from the University of Ghent presented the methodology developed together with EVIA and VHK to calculate indoor air quality in residential buildings. 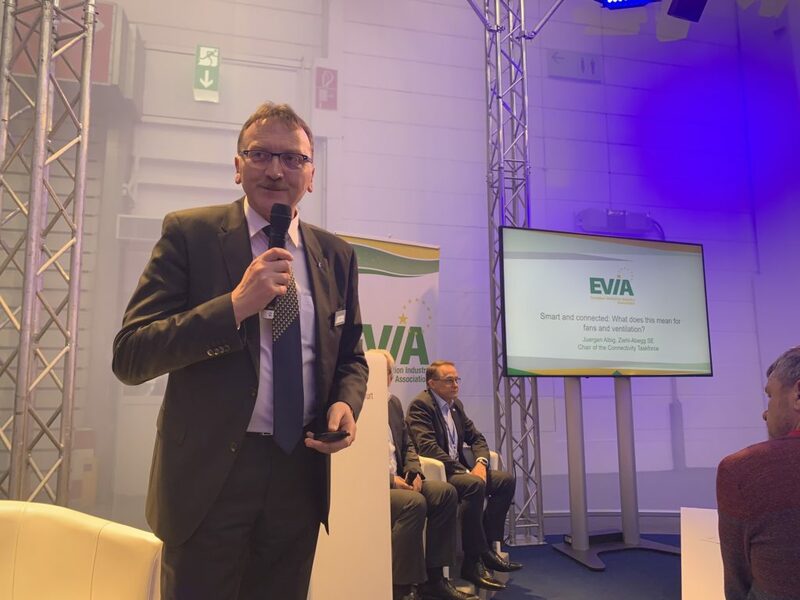 On this issue, Claus Haendel, from EVIA Technical Secretariat, highlighted that there are currently no indicators for IAQ in Building Certificates or IAQ parameters in energy labels and took the opportunity to launch EVIA’s call to action to policy makers. “Good indoor air quality is a basic human right”, he said, focusing on the importance of evaluating the performance of the ventilation system to ensure a healthy indoor environment. 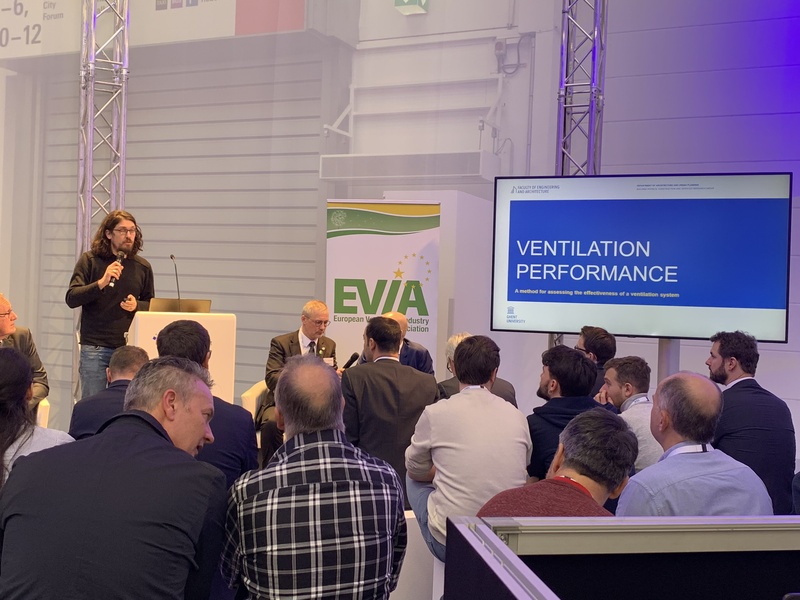 Yves Lambert (Renson) commented that “It is essential to have smart ventilation system and a European common method for all type of mechanical ventilation with a clear and simple label that could be understood by the general public”. Finally, Jelmer de Jong (Brink Climate Systems) presented the successful Dutch experience with an IAQ related standard NEN 1087 that provides the method for determining the nominal ventilation capacity of a ventilation system, the design of a ventilation facility, the degree of probability of the ventilation system functioning. You can find the presentation of the workshop here. 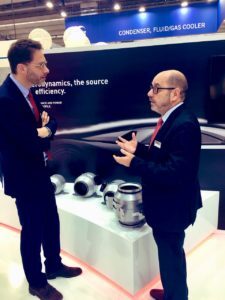 The last workshop put the focus on the ventilation industry’s perspective on the interconnection between smartness and connectivity. The panel composed by industry representatives, including Ziehl-Abegg, Johnson Controls System & Service GmbH and Siemens Building Technologies had the opportunity to analyse the impact of digitalisation on the industry and the importance of control systems, especially on key products such as fans and ventilation systems. In particular, Jürgen Albig underlined how our building should keep up with the times and how “the industry should provide customers with innovative solutions to enable the digital transformation of the way we live”. On this issue in particular, Roland Ullmann added “ventilation systems should be integrative part of smart building and control systems. Communicating in a standardised way and language, control systems should provide the necessary data to adjust energy use” supporting building flexibility and smartness. Finally, EVIA shared a booth with FGK (Fachverband Gebäude-Klima) and had the opportunity to interact with numerous German and international visitors about the state of play of key EU regulations at as well as informing them of the upcoming activities of the association. If you want to subscribe to our mailing list to keep up to date with our activities, please click here.